This was a personal project carrying on from my final major project, ‘A View From Above’, a children’s book exploring water scenarios, from a birds eye view. 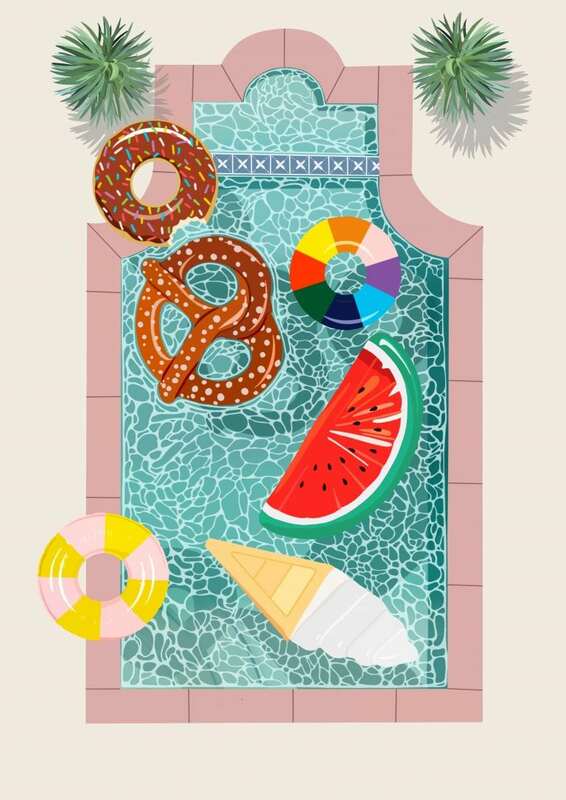 This new project is a series of illustrations looking at different swimming pools from above. I wanted to experiment with shadows from different objects surrounding and floating in the pools. Starting off simple and slowly adding objects and plants to create interesting illustrations with objects at different levels. 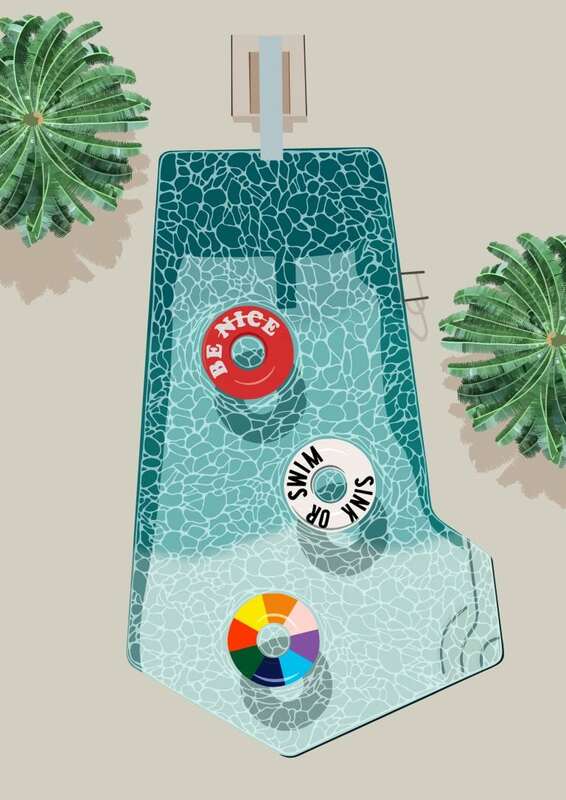 Travelling really inspires my work, looking at history, people, different cultures and lifestyles, so drawing these different swimming pools, was an exciting task for myself. As the weather is getting warmer, I also wanted to have fun, and draw lots of pool floats. Floats are definitely a popular trend and I want to keep drawing what people are interested in, so there’s constant interest into my work. Different photographs I found and travel destinations abroad inspired these images. Gray Malin is a photographer who captures different pools and beaches from above, using his helicopter to capture incredibly colourful and bold photographs. 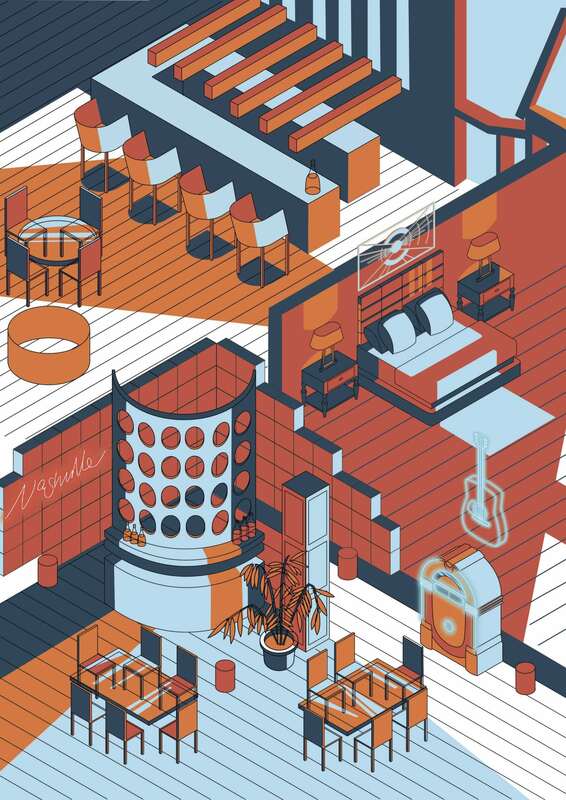 He has definitely inspired these illustrations, encouraging me to play with pattern and colours. 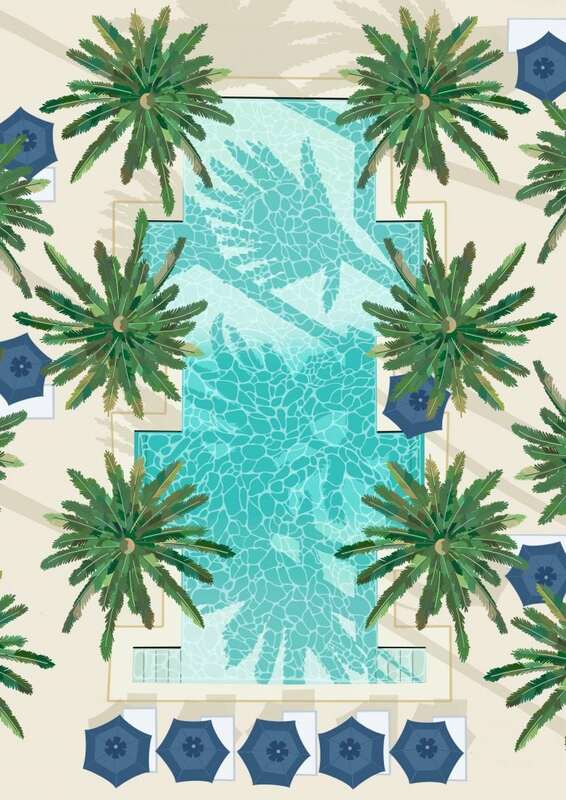 I found that palm trees and greenery can really work well alongside illustrations of water, adding a bold pop of colour along with more natural shapes that contrast with the straight lines of the edges of the pools. I also experimented with shadows. I wanted to play with different directions of the sun, so shadows would look different in each depending on whether the sun was directly above, or over left or right. 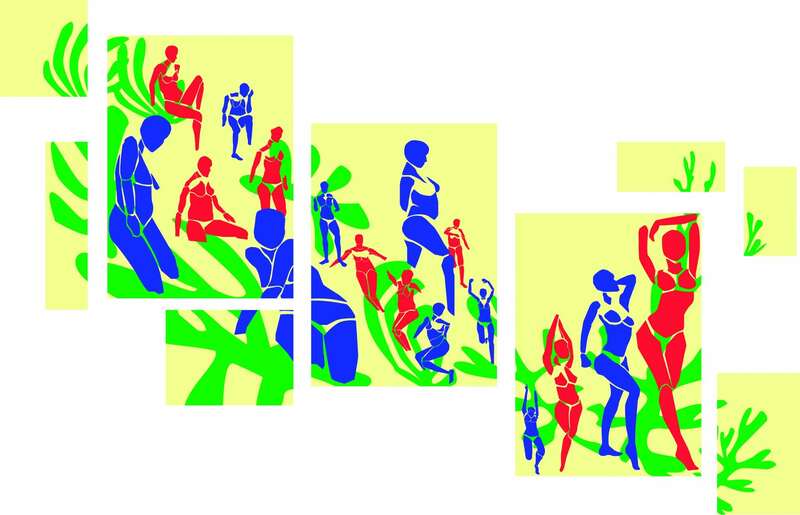 By not including people in these images, I found shadows bought more interest adding depth to the water and ripples.